An excellent way of growing many different types of roses is to grow your own from cuttings of roses that are already in your garden. It is not difficult to do but you will need to have patience as it does take a few years to see the fruits of your work. It will usuually take 3 to 4 years before the rose cuttings reach maturity. 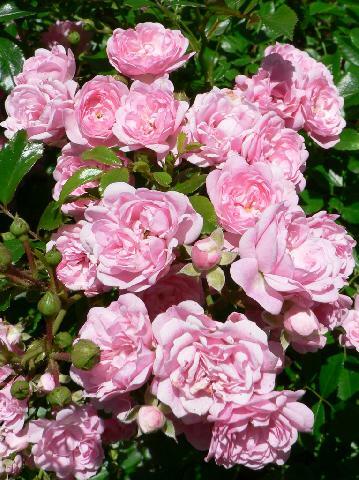 Unfortunately not all rose types are suitable for propogating by cuttings. Hybrid Tea rose types are not suitable for growing roses from cuttings but there are many other options as climbing roses, rambling roses, shrub roses and floribunda roses usually work well with cuttings. Cuttings are best taken in September.Using the current years growth choose a nice, green shoot about the thickness of a pencil. Remove all leaves except the two at the top of your chosen shoot. Use a clean sharp secateurs and cut your chosen shoot to about 8 to 9 inches long. Directly below a bud cut at a 45 degree angle.You will need to leave the bud on your chosen shoot. Place the bottom of your shoot with the bud into some hormone rooting powder, now shake off excess powder. Choose a slightly shaded part of your garden and dig a small trench. Try to make the back of the trench reasonably straight.A trench of about 6 inches is deep enough. Now place some sharp sand at the base of the trench. Go to a depth of 2 inches of sand for the bottom. Now firmly press in the sand at the bottom of your cutting. Now push the loose soil around the cutting and firm in. This firming in is done with your heel and this is where the gardening expression of "heeling in" comes from. 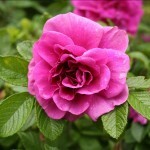 Give your rose cuttings a good drink of water and gently re-firm the soil. Over time and especially after frost make sure that the soil around your rose cuttings remains firmed in at the base of the cutting. Do not let the soil around the cuttings dry out during the following spring and summer.If any buds appear remove the gently using your thumb and index finger. 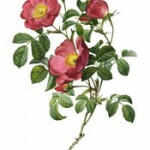 The end of the following september or november you should be able to plant your roses grown from cuttings. I usually pot them up for another year to give the roses a chance to form a good rootball. The above system for growing roses from cuttings is generally very successful and although patience is required it is also a very satisfying way of growing roses if you are thinking long-term..